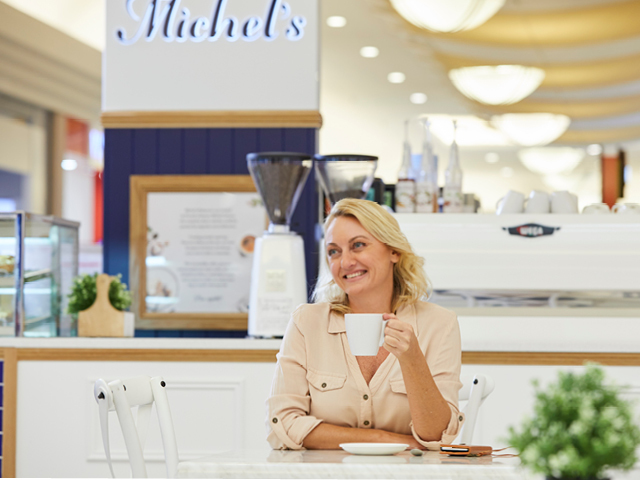 Not merely content with celebrating an impressive 30 years of serving the community, this year saw a significant brand leap forward for Michel’s, with an exciting new concept store opening celebrated the exciting concept store opening at The Pines, Elanora and its fresh French stylings. The store has been transformed to present a look and feel that has its roots in our French heritage, as well as a complete new product range. Recently, our Michel’s Franchise Advisory Council (FAC) took part in a 2-day workshop and had the opportunity to experience the joie de vivre for themselves. How would you describe the look and feel of the new look Michel’s? Invigorating. The washed white and blue colour scheme really echoed the French stylings and heritage we embody as a brand. All the changes added up to making the space look fresh and uncluttered. The feeling of French luxe and high styling made me feel like I had been whisked away to the Champs-Élysées or the Hamptons. What stood out for you during your visit? The cabinets were displayed in a way that suggested minimal effort, presenting the cakes and sandwiches in a style that was more contemporary, with the raw and organic look that customers appreciate and are looking for. Did you manage to speak with any of the customers? Yes, I had some great chats with some of the customers. They would comment that they would previously walk past the store as there is so much choice in the area, but now they stop, drawn in by the updated look. They said they were much happier to look at the products, buy a quick coffee and cake or dine in and soak up the European atmosphere. Sounds like a success! Any last words to share? Honestly, I really hope to have this look in my stores in Maitland soon, it is a fantastic leap forward for Michel’s and a great opportunity to reinvigorate our consumer interest. We would like to extend a very big thank you to the Michel’s Franchise Advisory Council (FAC) members who joined visited the store during the opening week to experience the new layout and range. Thanks to Council members for their valuable feedback and for being part of the change you want to see!